Japanese Motorcycle Grand Prix (Japan Grand Prix) Formula One Japanese GrandPrix (F1 Japan Grand Prix) thorough introduction! 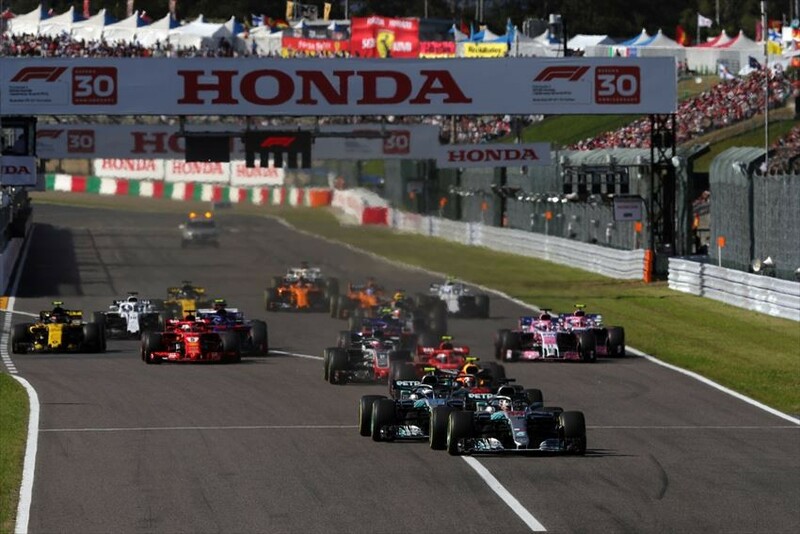 F1 Japan Grand Prix is the greatest car race to be held in Japan. Each team's best technology is gathered and 20 top drivers from around the world will compete. In 2018, about 165,000 spectators gathered during the 3 days and it got really exciting. We will introduce the history of the Japanese Grand Prix, places to hold and more in this article! What is the history of Japanese Grand Prix? It was held for the first time in 1987 at the Suzuka Circuit in Mie Prefecture which is used until today. Many F1 fans visit the Japan Grand Prix in October each year. Fans increases each year after the success of these drivers such as Aryton Senna and Japanese driver, Satoru Nakajima which represent the first half of 1990, and other Japanese drivers such as Akurisu Suzuki, Takuma Sato and Kamui Kobayashi. Honda served as the title sponsor in 2018 and the official name was held under the name "2018 FIA F1 World Championship Series No. 17 Round of Honda Japan Grand Prix." Lewis Hamilton from Mercedes Formula 1 team won the victory and closed the curtain. Suzuka Circuit is a course which seems like a large figure 8 and it is also rare in worldwide for its three-dimensional intersection formula. There are all types of corners such as low speed, medium speed, high speed and variation which required good driving technique. Furthermore, there are features at Suzuka Circuit which are not found in other tracks. First of all, there are many people who dressed as cosplayer and come as audience. Besides support flags and message boards, they usually will decorate their own hats or wear the team color coat. Cosplay photo posting campaign will be carried out through Twitter and there will be many posts which became a hot topic. The second will be gourmet. There are themes for each area such as fast food, meat gourmet or dessert, and the lineup are wide from Japanese food such as takoyaki, udon, ramen, and curry to overseas delicacies such as lasagna and kebab. There are plenty of content to entertain audiences such as holding events for all drivers to attend who actually race will perform. How to buy ticket, belongings and access the place? You can get tickets by purchasing at online sales site. The languages are in English and Traditional Chinese and the page is launched before sales start. On the day of arrival, you will receive tickets at the reception counter in front of the main gate. The commission fee is free, so there is no worry about lost for exchange on the day. Ticket prices vary from several thousand yen to sixty-seventy thousand. If you want to keep your budget low, there is west area seat, S seats are for families, C seat is for those who want to experience climax and V2 seats is recommended for those who want to enjoy all. October has a relatively pleasant climate, but winter gear is a necessity because it is quite cool in the morning and evening. Besides, it is better to bring rainwear as well as there are many places where the roof is not provided in the seating area. It is useful to have binocular and earmuff too for soundproofing. About 20 minutes by direct bus from Mie Prefecture, Kintetsu Nagoya Line Shiroko Station, it is about 400 yen one way (Mie Kotsu). In addition, the Kintetsu Suzuka Line Hiratacho Station and Ise Railway Suzuka Circuit Inao Station are also nearby, but Hirata Station is approximately 15 minutes by taxi without a bus and approximately 30 minutes on foot from Suzuka Circuit Inao Station.